A black and white negative of a field in Deep River, Ontario. A tree line is visible in the background. A dirt road leads down to a lake. 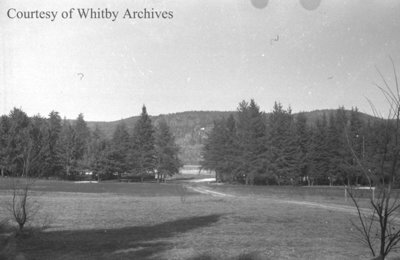 Byeways Lodge, April 21, 1941, Marjorie Ruddy. Whitby Archives A2013_040_753A.